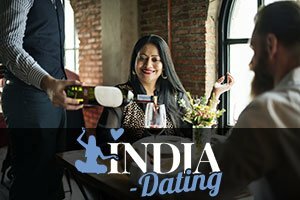 Top Dating Sites India - Online Dating Scams 101: How Do They Work? Online dating scams are one of the most common types of scams today, particularly in India. Although many people seem to argue that dating scammers are easy to spot, more and more people fall victim to financial dating poachers every day. But how do dating scammers in India achieve this? Dating scammers, in the majority of all dating scam cases, target people older than themselves. If a male scammer is in question, he would usually target middle aged women in their 50’s to 60’s. This age group is considered to be richer and more venerable in the eyes of the dating poachers, and therefore they are ideal for scamming. Online dating scammers always claim that they are self employed or that they’re working overseas, that they’re widowed (usually with a child), and that they claim to live near their targets but are currently away. They are also presenting themselves to be pretty young and handsome, which is clearly a huge pink discrepancy elephant in the room. This storyline makes an ideal setting for financial scamming. After setting the perfect backdrop for a scam, dating poachers usually start asking for phone conversations with their target. Luckily for the victims of online dating scamming, this is the perfect way to unravel a fake persona. If the person you’re talking to has a (slight/thick) accent which doesn’t match their supposed origin or uses unusual phrases, you should be very suspicious. Make sure you ask the person tons of questions and if your gut is telling you that there’s something odd going on – trust it. And pay attention to the excuses they’re telling you. After further developing your “relationship” via calls and text messages over their target’s private phone number, online scammers rapidly escalate in expressions of emotions. If someone is telling you that they love you, miss you, and want you after just a few weeks of chatting without actually meeting you, you should be very alarmed. When the scammer thinks he or she has their target hooked, they start to reel them in. They achieve this by telling their victim that they’re on their way home to start a real relationship with their victim, only to say (completely out of the blue) that they have a financial emergency. And that’s when the scamming really begins. Dating scammers ask their victims for a money loan, which they claim will pay back when they meet up with them. Whether it’s an emergency or they don’t have the means to pay for the trip, scammers accentuate their feelings towards their victims to reel them in ever further and to, perhaps, cause a guilt trip. If the target declines to “loan” them the money, dating scammers usually pull out the trust card and usually say something like “If there’s no trust, there can be no relationship.” If this is happening to you, it’s strongly advised to take this as a cue and completely stop all communication with that person. Feel free to share your experiences with us in the comment section.